The glamour and drama of TV shows like The Practice and Law and Order have convinced more than a few unsuspecting liberal arts majors that law school is the path to wealth, excitement, and a great wardrobe. But out of the 43,500 students entering law school each year, 20-40% will drop out in the first year alone. What does a lawyer’s job entail when he or she is not in the courtroom? Am I ready for the stress of being a law student and all the hours most successful attorneys devote to their profession? Do I love to research, read, and write about legal issues? If you aren’t immediately certain of your answers, you have some research to do. Use your network to arrange some informational interviews with attorneys working in a variety of settings–legal aid, criminal work, corporate law, commercial litigation, family law, etc. Contact the American Bar Association (www.abanet.org) for copies of their recent publications to see what law is really about–beyond what’s on TV and in John Grisham novels. You can also turn to services like the jd Mission to help you with your application and admission strategy. If you decide that law school is for you, there’s additional research to do–into finding the right school. 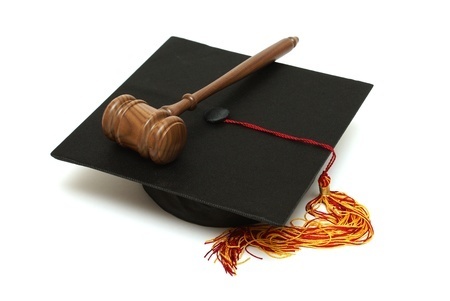 You can use this ranking of law schools to help you make your decision. And this helpful site provides free access to LSAT medians, GPA requirements, as well as acceptance rates at all the top colleges in the US according to 2017-18 rankings. Tip from experts: It is suggested those that are interested in law as a career would benefit by working as a legal assistant or paralegal for at least one to two years before going to law school. Some realize (often too late) when they are in law school it isn’t the path they were happy choosing and find they hate the practice of law. BOOK: The Law School Admission Game: Play Like an Expert: Learn everything you need to know to get into law school. VIDEO: How to decide if law school is right for you? ARTICLE: PrincetonReview.com: How to Choose a Law School: From fields of study to future career paths, here’s what you need to keep in mind when choosing a law school. WEBSITE: TheGirlsGuidetoLawSchool.com: Provides different techniques useful in making the important decision, if law school is for you.